Today’s interview is with Karla Ortiz. Karla was suggested to me by fellow artist Travis Lewis. 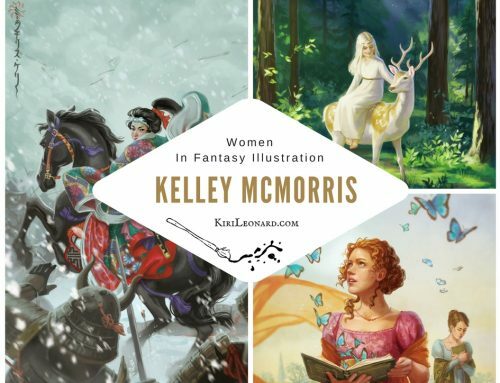 I was mind blown when I saw Karla’s stunning work so I’m delighted to have this opportunity to share this interview with you. Karla is also a very encouraging artist, I’d recommend any art student or artist who suffers from severe cases of self-doubt read this interview. Enjoy! My name is Karla Ortiz I am a 28-year-old artist. I was born on Halloween in the very small island of Puerto Rico. My mother is a fashion designer and my father is a musician, so from very early on I was immersed in a very creative environment. My mother claims I drew before I spoke…though I get the feeling she may be stretching the truth a bit on that one. My work is inspired by many things that I loved (and still love) when I was a child. 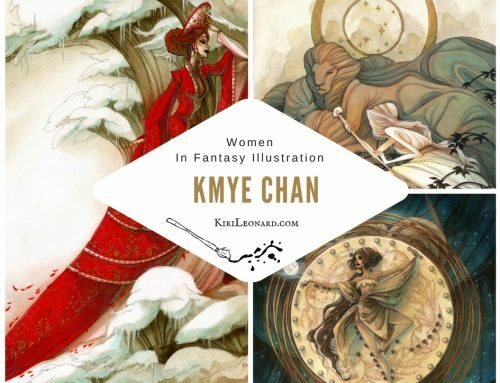 I’ve always had a fascination with myth, fairy tales, and animals. I was always living in my imagination and all my activities as a child consisted of daydreaming. I lived in distant worlds, where I would adventure with my animal companions. Now in terms of my career, it has taken me to places I’ve never expected to go. The most exciting part is that there’s still so much more to do! I am looking forward to being 70 years old, and see what I’m painting like then! I am looking forward to being 70 years old, and see what I’m painting like then! It was never a sudden realization, more like a thing I had to do. From a very young age I just knew I could do nothing else except paint. This has been illustrated over and over again by my inability to maintain to maintain jobs that have nothing to do with art. For example, earlier in my college years I was kicked out of my first and only cafeteria job after the second day of training. I messed up so bad that they just couldn’t bare to finish my training! I called my father later that afternoon and told him the very distressing news to which he replied “Karla, this is just a sign that you should only focus on finding jobs that are painting related… you’ll starve otherwise”. And he was right! Being an artist means that you will have moments of darkness and insecurity. I truly believe it comes with the territory. Most of us will have an amazing day and feel like we’re at the top of the mountain. But on that same day we could feel like we’re worth nothing because we made the wrong brush stroke. 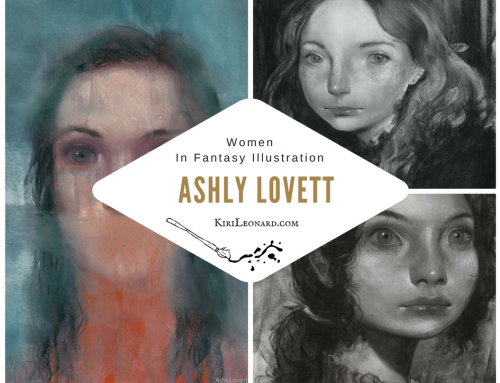 I faced a lot of those feelings transitioning to a professional artist. I felt like “Why me with this job? There are 20 other people that are definitely more qualified than I am!” But at some point, you realize to let that go. Those thoughts and feelings are monsters that stop us from truly focusing on the love of painting. As soon as I embraced the craft and the love for it, everything wonderful followed. Oh man what a isn’t there to like?! Painting is like meditation to me, meditation with a visual story. Then when you hit roadblocks its like a wonderful puzzle that you have to solve. It’s also so satisfying to see something tangible come out from an abstract concept in your head! Not only this but the art community is full of such wonderful individuals who share ideas, techniques, and support each other. Like comrades in a big adventure, trying to collectively improve our craft and tell stories! Yeah it’s pretty much one of the best things in the world! But just imagine yourself smashing those monsters with the broom and kicking them out of your head. That usually does the trick for me. Note: feel free to get as violent as you want with those devious monsters! They deserve it! 6. You work as a full time concept artist. 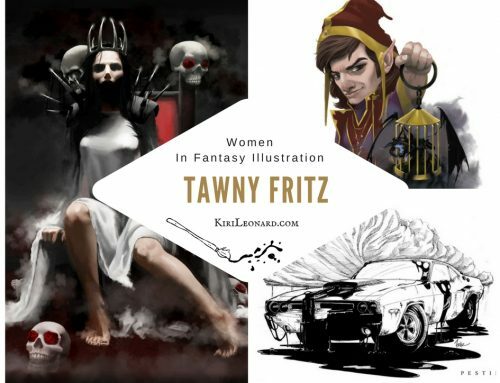 What made you pick concept art over illustration and how has it impacted your career? I don’t I think I ever consciously picked one over the other. To me they both feel very similar so I never feel at a loss when I’m only illustrating, or only doing concepts. However, I do feel quite fortunate that lately I’ve been approached by both Industries and I’ve gotten the opportunities to work on some amazing projects! 7. Is there a difference in how you approach concept art over say card illustration? Outside of image dimensions not really. The process of illustration is not very different from the process of concept art. They both rely on strong technical foundations, good story telling and good design. A great concept artist will always be telling a good story with visuals, and so will a great illustrator. So it’s very hard for me to mention any true differences as I approach them very similarly. 8. Please tell a little about your process and your choice of medium. I always go to digital, graphite, and oils (sometimes when I want to have a headache, watercolors). My process always starts with a very basic doodle, this is the part where I am laying down my ideas. I’m not very precious at this moment as all I’m interested in is getting a ton of ideas onto paper. Once I’m certain on the direction I want to take it, I then begin to gather references and information. This is the part that takes the longest because I want to make sure that I’ll have everything I need so that it is smooth painting afterward. After all my references are gathered, I will usually do a very detailed sketch in which I work the values and colors of the painting. If those sketches are approved then I move on to an accurate line drawing and only after all of this is done, I begin the painting process. The best advice about painting and career came at a point in my life where I was at my lowest. I almost quit art! I asked a room full of artist who I admired if they always felt like their work sucked. That opened the floodgates to a very long conversation about how everyone felt like their neighbor was better. I realized this inadequacy was something we all felt… It was liberating! That was the moment I realized I needed to shut away useless fears and thoughts and focus on more important things, like painting, and enjoying life! Another good advice is to take care of your body. Too many artist paints all hours of days, I was one of them until my body decided enough was enough and I injured my hands. Take breaks all the time, learn hand stretches, and sleep! All these things will keep you healthy and will let you paint for many years to come! Oh, so many! I hope I will continue to improve upon my craft, and that I continue to work with incredibly talented individuals like I do today. I hope to travel and to see the world, and with it to learn to not only be a better artist but more importantly a better human being. And I also hope to find a sister to my very lonely cat, and to continue to play great video games when time allows! Thank you for reading, I hope you enjoyed this interview with Karla, if you did please share it with your friends! 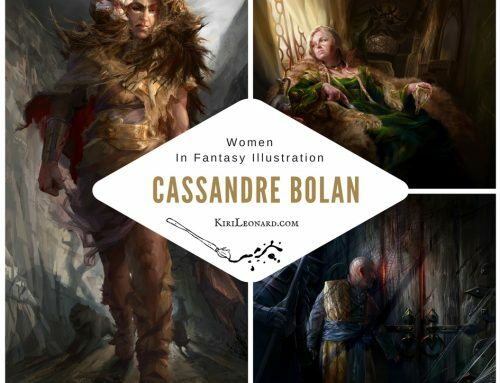 Also if there are any professional female fantasy artists you greatly admire and would like to see an interview with, please leave a comment with their name and a link to their website, thank you.